What is universal testing machine? 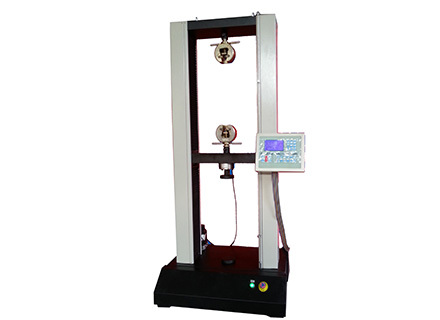 Universal testing machine (UTM) is a testing machine specifically designed for multi-function tests. It is applied on tests of metal, non-metal, composite material, whose testing function include but not limit to common mechanical tests like tension, compression, bending, cutting, tearing and etc. UTM is also can be used on tests of high voltage insulator field, such “locking pin test for disc insulator” and “tearing test of rubber material of composite insulators“. What is max load power of universal testing machine? The loading power, which often refers to its tensile test force, varies from different type. This depends on demand of clients. One of popular model form Contune Intl WDW-D50 universal testing machine has max test force of 50kN (5 tons), with tensile sensor of 50kN for metal specimen and 2000N sensor for poly material test. How is a UTM controlled? The universal testing machine is controlled by micro-computer software. This software is able to display testing procedure live, with testing force, time and etc. on screen.